“Hi Wally, I’m using a Lenovo Yoga 3 laptop with Windows 10. I think Windows 10 updates have broken it. It has been restarting repeatedly and gave the 0x000001d8 blue screen error for a while. The WiFi also stopped working and I couldn’t connect to the internet at all. Wally’s Answer: Blue screen errors are really annoying. They can start occurring unexpectedly. However, they occur due to real reasons. Its hard to tell just by looking at an error code like 0x000001d8, but this does make it a lot easier to troubleshoot the problem. 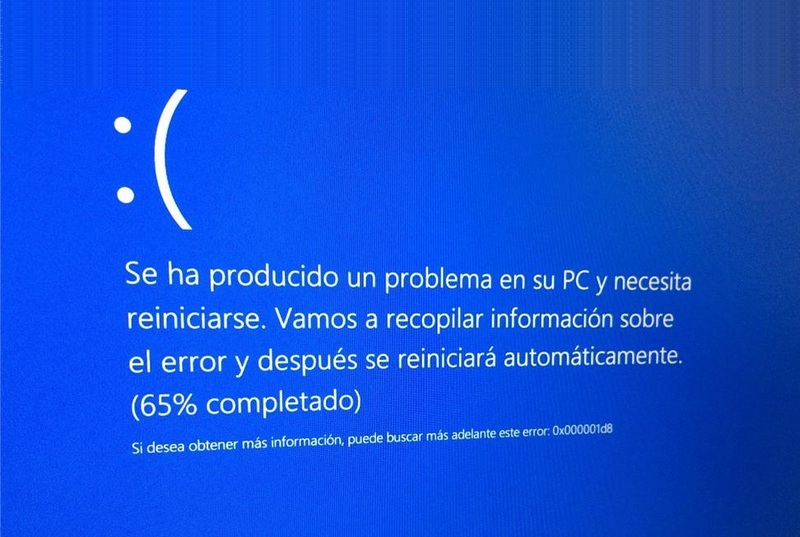 The 0x000001d8 blue screen error occurs on a Lenovo Yoga 3 and the computer restarts repeatedly. The WiFi also seems to be having issues as a result of this error. If you can’t start the computer normally, then try starting it in Safe Mode. After starting it in Safe Mode, you should be able to observe its behavior with the least amount of drivers and services loaded in Windows. If it behaves normally now, then a driver was probably the problem. You can try using System Restore to return Windows to the way it was before the driver was installed. Most blue screen errors are caused by device driver related issues. You can update device drivers by visiting your computer manufacturer’s website and looking for your computer model there. You can also use third-party software like DriverDoc to find and download the new version of the driver automatically. Drivers for the Lenovo Yoga 3 can be found by clicking this link. Windows 8 and 10 come with recovery options that you can use to essentially reinstall Windows. Click here to read more on this topic.